MICHAEL Dapaah, actor, comedian, rapper and one of the most prominent and influential digital talents in British pop culture will host the Edinburgh International Television Festival’s New Voice Awards on Tuesday, 26th February, it was announced today (WED). 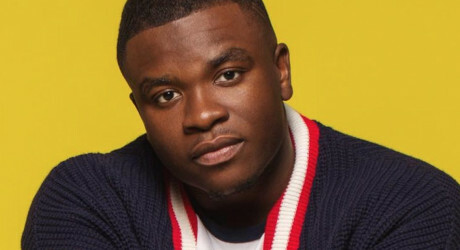 Dapaah is best known for his SWIL (Somewhere in London) web series and his viral hit, ‘Man’s Not Hot’ – which he performs as SWIL character, Big Shaq. Dapaah’s web show amassed over one million views in its first series and is currently in production for a second series. Held at Rich Mix in East London, The New Voice Awards are the TV festival’s recognition of undiscovered creatives and the companies who do the most to support them. Supporting new talent is at the very heart of the TV festival’s strategy and The New Voice Awards echo the mission of the festival’s two talent schemes, Ones to Watch and The Network, which aim to make the industry more accessible to a broader range of individuals and to provide a prestigious platform for rising stars. This is the second year the awards (known as The Debbies in its inaugural year) have been held and include recognition for best debut writer and director, best broadcaster, best company and best agency for new talent. All ticket holders for the awards will also be able to attend a special new writer’s panel. The panellists will include screenwriters Daniel Lawrence Taylor (Timewasters), Sophie Petzal (Blood) and Shivani Thussu (winner of the 2018 All3Media New Script Award). Daniel Lawrence Taylor is the creator and writer of ITV2’s Timewasters. The second series will air later this year. In 2018, he was nominated for the Edinburgh TV Festival Breakthrough award, won the RTS Breakthrough Award, was a BAFTA Breakthrough Brit, and was nominated for Best Scripted Comedy at the BAFTAs. His work as an actor includes Cockroaches, Uncle and Hunderby. He also performs as one half of the comedy double act, Ginger & Black. Sophie Petzal’s original TV series, Blood, was produced by Company Pictures and went out on Virgin Media One in Ireland, Channel 5 in the UK and Acorn in the US in 2018. She has also written on The Last Kingdom, Riviera and Medici among many others. Sophie was one of Edinburgh TV Festival’s Ones to Watch in 2014. Shivani Thussu won the All3Media New Script Award in 2019 and has since signed with The Agency and is in development with All3Media on her winning script, Paper. The panel and awards will be held at Rich Mix in East London on Tuesday 26th February. Tickets for the panel and the awards ceremony, including a drink on the night, cost £12 and are available through Rich Mix: https://richmix.org.uk/events/new-voice-awards-2019-panel/?